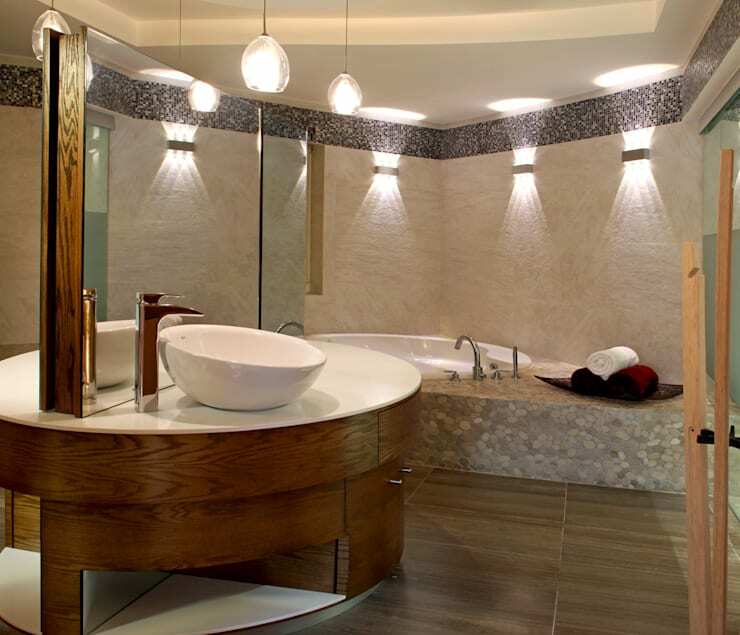 Tiling is probably the most important aspect of bathroom design and bathroom remodeling. Bathroom tiles not only add style and colour but are also an outlet for you to showcase your personality. Tiling can be treated as a DIY project or handled by a professional. The former is definitely the more budget friendly of the two but is also more labour and time intensive. Either way, you should know what tiling a bathroom involves! Here's our handy guide. The first step to tiling a bathroom is to make a plan for your bathroom. 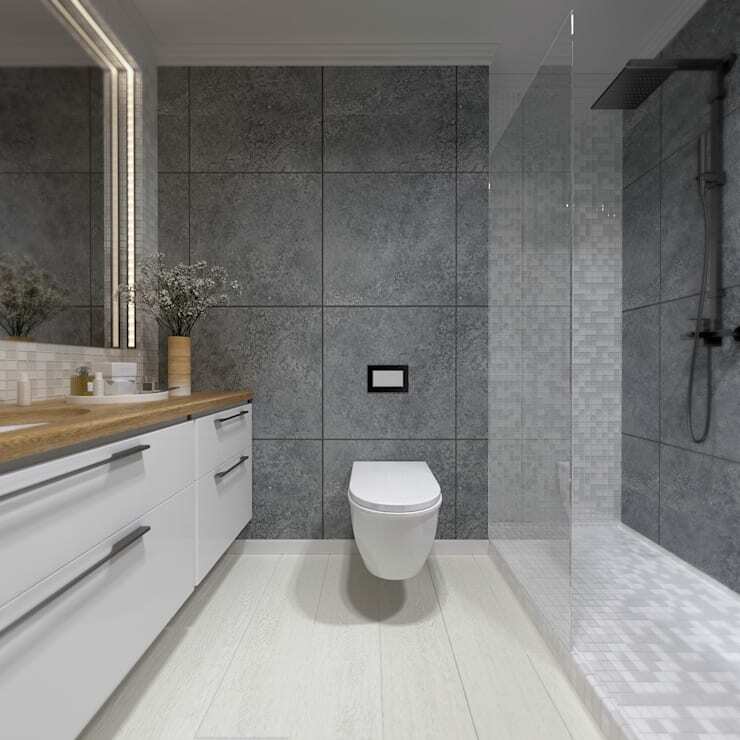 Decide where your shower area will be and if it needs to be isolated from the rest of the bathroom by a ledge or if your bathroom will have a level floor throughout. 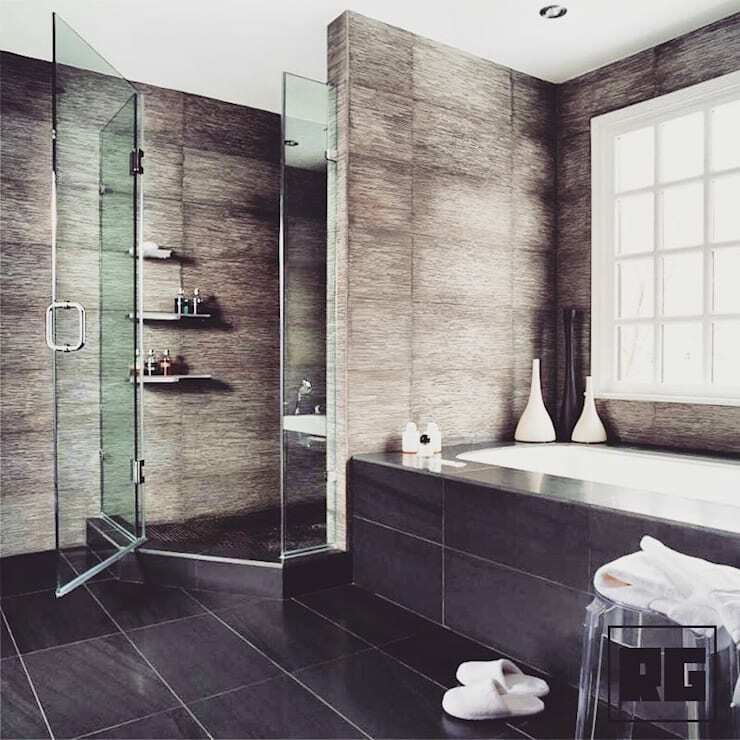 Unlike other rooms, bathroom tiles are used not only for the floor but also for walls. Thus, you will also need to plan the elements on your bathroom walls like mirrors and niches before you can begin tiling. Set aside time for when you can tile your bathroom and a schedule for the same. Equip yourself with the necessary tools before you begin your bathroom tiling project. Along with the tiles and grout, some of the tools you will need are a grinder, tile cutter, tape measure and trowel. 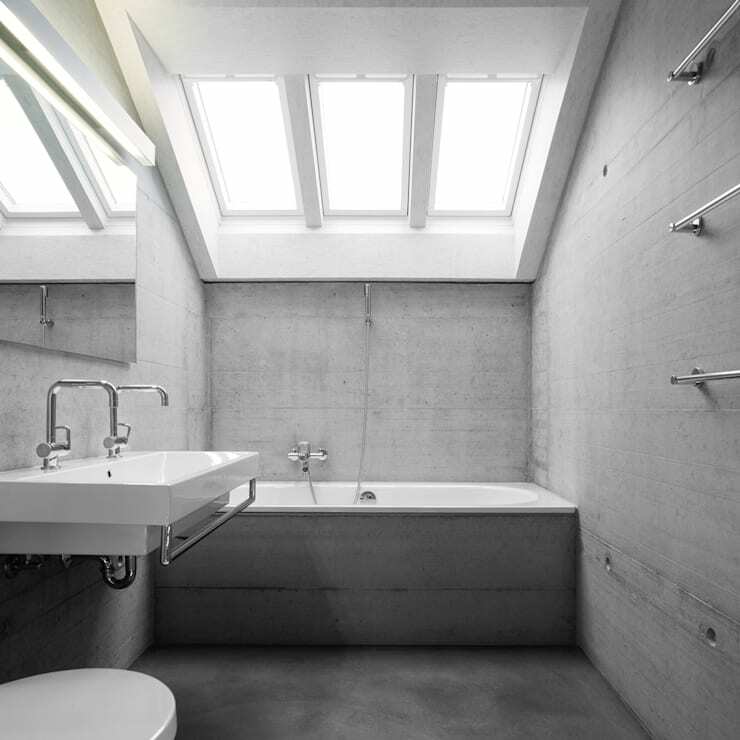 On the basis of the plan for your bathroom and tile size, calculate the number of tiles you will require. Large tiles are sometimes more expensive than small tiles but can make a small space look more expansive. These may also need to be cut to size to fit your exact bathroom measurements. Smaller tiles, on the other hand, are cheaper and easier to fit standard bathroom floor sizes. Depending on the look you want for your bathroom and your budget, pick a tile size. While purchasing the tiles; double check the sizes. Most bathroom tiles are sold not in inches but in centimeters. Some tile sizes also factor in grouting when calculating the size. For example, the size mentioned on the box may be 12” x 12” though the actual tile size is only 11 ¾” x 11 ¾”. Hence, it is always best to measure the tile yourself before purchasing it. If you are using more than one size of bathroom tiles, first draw out your pattern on the cement before installing the tiles. While tiling a bathroom, it is best to start at the top and work your way down to the floor. This way the mitered pieces start exactly at grout joints. Be especially careful of tiling around doors and windows. Do not leave out the window sills and niches in your calculation of tile joints. The tile layout on the bathroom floor will also determine the position of the drain. Since most drains have no room for adjustment, indicate the approximate area to the plumber and tile around the drain once it has been installed. This flawless tile work was created by Dream Architectura & Diseno, based in Puebla. Waterproofing is a big concern while tiling a bathroom. Ensure that your windows have been kept in mind while waterproofing the bathroom so that water does not get behind the tiles and into the window framing. Also, grade the area outside to shower to lead back into the shower area. This step includes laying an extra inlay tile detail that is sloped towards the shower area. This will act as a traditional shower curb to prevent the flow of water from the shower area to the dry area. Applying a thin line of silicone sealant where vertical surfaces meet horizontal ones is an additional step that will protect the tiles against leaks. Bathroom tiling is not a project that can be hurried. 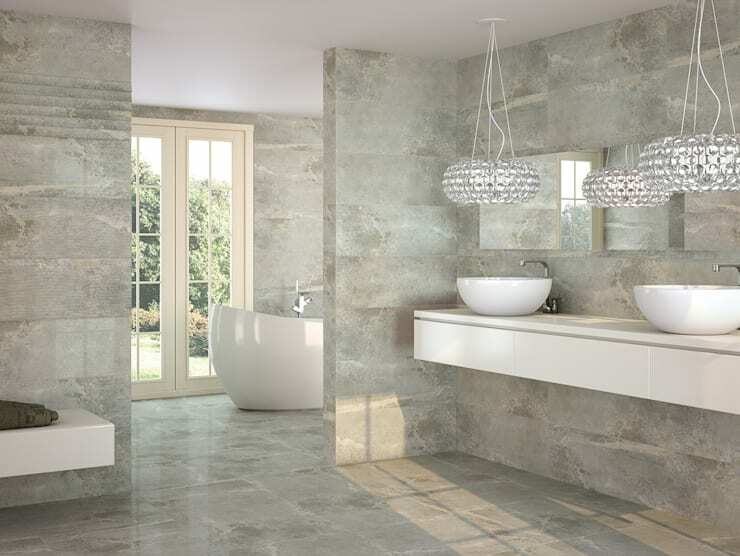 If you’re using natural stones as bathroom tiles, you will need to seal the tiles before using them. This is especially necessary for floor tiles and should be done before installing the tiles. Once this has dried, you can begin tiling a bathroom. Between each step of the tiling process, allow for adequate drying time. Use spacers between individual tiles to get them in the right position and let the mortar behind the tiles dry completely before grouting them. In most cases, this should take about 24 hours. Remove the spacers and only then begin to grout the tiles. Grouting tiles before they have dried completely can cause the tiles to shift their position. Allow this to dry for a further 3-5 days before sealing the tiles. Making a niche smaller is much easier than enlarging a niche. Hence, when designing the bathroom, design a bigger niche than required. An extra space of 1-2 inches should be sufficient. Once the tiles are laid, you can then adjust the niche size by increasing or decreasing the grout. To avoid seeing the edge of a tile, miter the edges of the tiles that are to be fitted into a niche. This will give your niche a neat finish. Details such as an even amount of grouting will go a long way in determining the look of your bathroom. Ensure that your grout lines are straight both vertically and horizontally. When it comes to pattern, look not only at the pattern of an individual tile but also the pattern formed when tiles are placed together. If your tiles are veined or patterned, consider wrapping them around corners. To wrap a tile around a corner, use the same tile on both walls. By doing this, the grain of a tile continues from one wall to the other thus giving the bathroom a cleaner and more seamless look. While laying the tiles themselves, use a level from time to time to ensure that your tiles are being installed in a straight line. Once your tiles have been installed, ensure that they are kept clean to maintain the look. While tiles themselves can be wiped with a damp cloth, the grout between tiles will need to be scrubbed with an old toothbrush once in a while. Determined to tile your own bathroom? Check out How to choose tiles for the bathroom! Which tip will you try? Are you already a tiling whizz? Let us know in the comments!